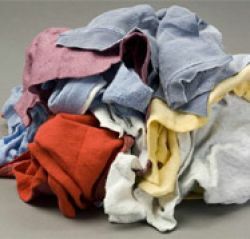 A range of fleecy, singlets, flannelette, white and other assorted rags for cleaning. 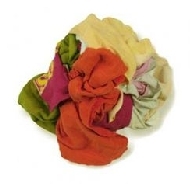 Coloured towelling rag. One of the best all round cloths for absorbing grease , water and oil spillages. Made from cut recycled towels. 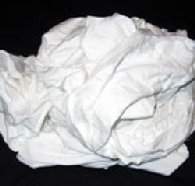 The most absorbent wipe available. Made from 100% towel. All white towelling rag. 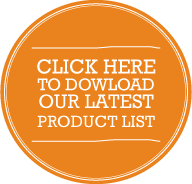 One of the best all round cloths for absorbing grease , water and oil spillages. Made from cut recycled towels. The most absorbent wipe available. Made from 100% towel. 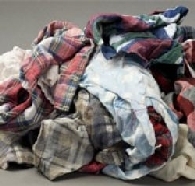 Flannel cotton wiping rags are cut from all cotton wiping rag cut from shirts, pajamas, and sheets. Makes for a highly absorbent wiper for any liquid. 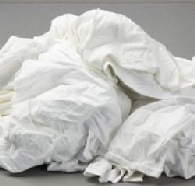 A lightweight cotton wiping rag blended material that makes this efficient, for water, grease or oil. Made from t-shirts and singlets. 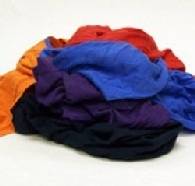 Sweatshirt fleece cotton wiping rags are a blend of cotton and fleece makes this wiping rag very popular. Soft to the touch and handles large clean ups. Made from sloppy-joes, tracksuits (not nylon). Made from A Grade hospital sheetings. 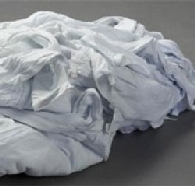 Great all-round cleaning cloth. Made from white t-shirts (no prints). Made from work shirts and skirts. Looking for something specific at a great price? Give us a call and we'll help you find it.